Stop stressing about making too many repairs on your house. You can sell it as-is for cash in Omaha, NE! Selling your home can be headache-inducing. Advertisements, Realtor fees, and home inspections are both time-consuming and costly. If you’re attempting to sell a house that needs a lot of work, getting your home in showroom condition might not be worth it financially. In preparation of selling your property, you must be able to answer this question: will I receive more money once I fix a house or sell it as-is? If finances are lacking and major repairs are necessary, the question becomes how do you sell a house when you cannot afford to fix it? Making your home attractive to potential homebuyers is necessary for a top-dollar sale. Cosmetic issues like wall color, replacing appliances, and chipped floors are cheap and might not hinder a sale. Yet, structural defects are expensive repairs that still must be made. Sometimes, the most major repairs are only unsurfaced after a thorough home inspection. "Every house has defects," Jack M. Guttentag, Professor of Finance at the University of Pennsylvania states. "Some obvious and some hidden." 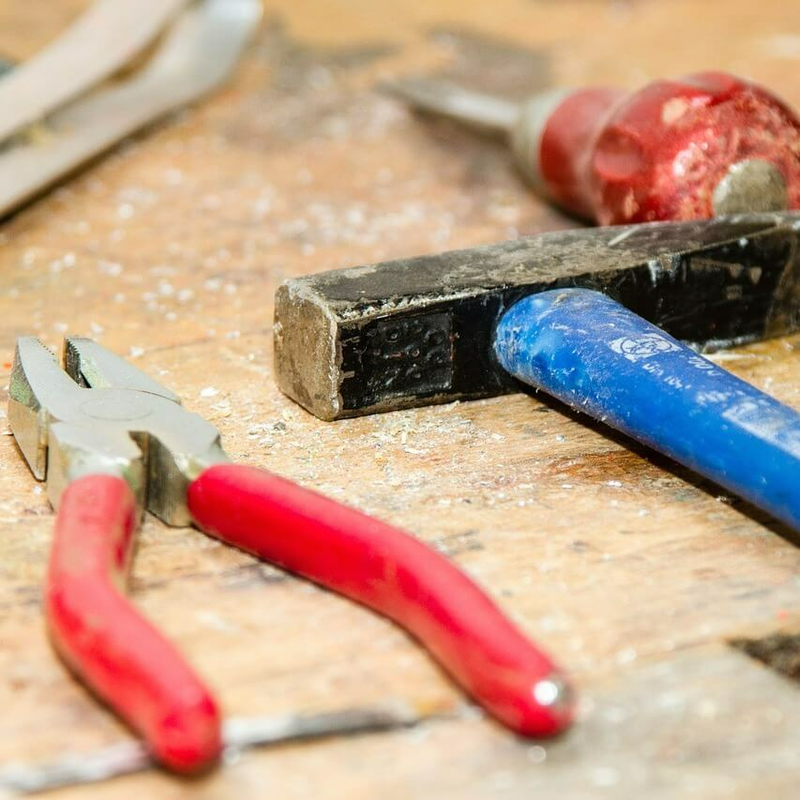 When attempting to sell a house fast with repairs, you need to consider these hard-to-find repairs and what it might mean to a buyer. Most buyers aren’t willing to pay the desired asking price on the assumption that everything they can’t see is in peak condition. In many cases, it’s easier to sell a house fast with repairs. But how do you make structural repairs without bleeding your wallet dry? Some sellers utilize contractors. Many contractors are equipped to handle minor damage and short renovations. Too many, though, have transformed beautiful homes into ugly Frankenhouses. CNN Money’s staff writer Les Christie says Frankenhouses are homes that feature renovated eyesores. Some of these are "pipes running through living rooms and bedrooms strung together like garlic cloves". They offer the buyer dysfunctional floor plans and finishes. They also offer awful color schemes and downright thoughtless room repurposing. They’re unappealing to the average homebuyer and, thus, stay on the market for longer periods of time. Using contractors to help sell a house that needs a lot of work comes with a steeper price tag. It also comes with a longer transition period between listing and closing. Best case scenario: your contractor does exceptional work within a guaranteed allotted timeframe. Do you want to fix those major structural defects like replacing your roof, deck, or septic system? It'l mean shelling out thousands of dollars before even listing your home. Renovating your home with contractors before selling can also deter potential buyers. When confronting cosmetic and particular major repairs, homeowners are faced with home-altering decisions. A variety of these improvements are highly stylized and require the right individual tastes. These can differ among neighborhoods, regions, and time periods dependent on what’s in-style. A feature that you love could be the deal-breaker for a buyer. So how do you sell your fixer-upper? Making repairs is necessary but the thought of hiring contractors and owning a Frankenhouse is unsavory. Many homeowners decide acquiring a Realtor and selling their house without making repairs is the only option. Going the traditional route and using a Realtor to sell a house fast with too many repairs is tough enough; but selling a house that needs repairs, especially major ones, is seemingly impossible for even experienced real estate agents. As the 2016 housing market steadily grows, as projected by Jonathan Smoke, Chief Economist for Realtor.com, buyers have become more selective with a plethora of homes for sale. Smoke predicts that six million homes will be sold this year alone, the highest amount of homes sold in a decade. With that kind of supply, sellers must expect more time on the market and fiercer competition. When selling a house that needs repairs, Realtors often suggest lowering your asking price to shorten your home’s time on market. In theory, this is great. The more time a house spends on the market, the more time a homeowner spends paying the home’s utilities, taxes, and insurance. However, your Realtor is more concerned with selling and receiving payment than selling your home at top price to the right buyer. Sometimes, using a Realtor means giving up your home’s best chance to sell. Using a Realtor also comes with unexpected fees, commissions, and unwanted advice on how to manage your property. Yahoo! Finance’s Mandi Woodruff estimates that even after paying the buyer’s commission - generally 3% - For Sale By Owners (FSBOs) cut selling costs in half by avoiding their own broker’s commission. With a median household cost, cutting out a Realtor saves thousands! If you’re looking to sell a house fast with repairs by using contractors, expect heavy fees, paperwork, and other hassles. Want to hire a Realtor and sell without making repairs? Expect even heavier fees, a longer time on market and other complications due to third-party involvement. But if you desire a simple, stress-free solution to selling your house with too many repairs, consider a cash buyer. Considering a cash buyer might seem unorthodox, but it’s quite common in today’s market. 2012’s Investment Issue of Forbes Magazine says about 30 percent of homebuyers used 100 percent cash when purchasing. Some estimate that percentage even higher today. Accepting a cash offer eliminates many struggles sellers face when trying to sell a house fast with too many repairs. Cash buyers offer a much quicker close. This is due to their ability to skip the mortgage process completely. By avoiding banks, selling to a cash buyer means closing and receiving payment within a week – as opposed to the typical 30 days. This speed of sell means more money in your pocket sooner. Cash buyers also provide more stability for sellers. They are usually pre-approved before making an offer on your home. So when a cash buyer is interested, there’s a sureness of sell that cannot be matched elsewhere. Arguably the best advantage to accepting a cash buyer is their desire to buy your home as-is. Homeowners needn’t worry about fixing major repairs, updating outdated finishes, or appealing to the average buyer. A cash buyer wants your home just the way it is, and is willing to pay fair market value for it. So how do you sell a house fast when there are too many repairs? Avoid costly renovations and contractors, skip the Realtor and their associated fees, and seek out cash home buyers. They offer you more security and money without settling for less. Lucky for you, we buy houses in Omaha and Council Bluffs. We work fast to get you a no-obligation cash offer for you house within 24 hours.